GoPro has announced that it’s recalling approximately 2,500 GoPro Karma camera drones sold over the last month because there’s a chance the £719 drone can lose power during flight and fall out of the sky. In a note to customers published on its website titled, Karma Recall and Return Information, GoPro says that it’s instructing all Karma owners to return their drones for a full refund while the “performance issue” is being investigated and fixed. GoPro says that a “small number” of Karma units have “lost power during operation,” and that it’s asking every Karma owner to stop using the drone and send it back to where they purchased it from, even if the drone appears to be working correctly. No injuries have been reported thus far, but you don’t want the drone to suddenly fall on someone’s head or somewhere out of reach — you need to return both the Karma and everything it came with if you’d like a full refund as part of the Karma recall. The Karma recall is a massive blow to GoPro, which has seen its stock fall from highs of $80+ in October 2014 to about $10 today. GoPro also had its highly anticipated Karma launch in September 2016 overshadowed by the launch of the Mavic drone by competitor DJI. 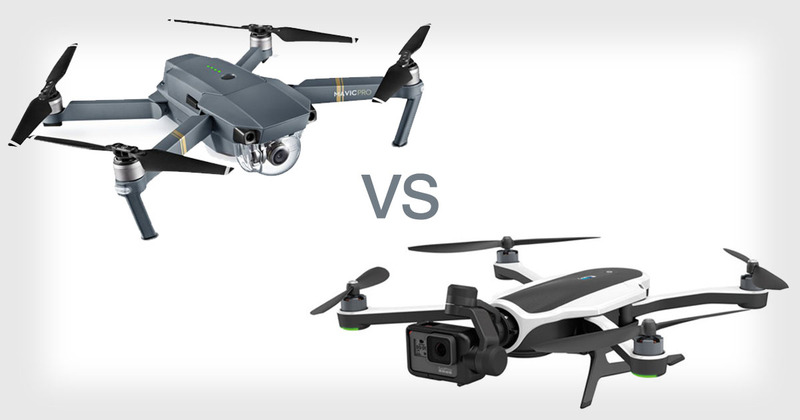 DJI’s Mavic is more compact than GoPro’s Karma and has been found to be greatly superior in some early reviews. As with Samsung’s global recall of its Galaxy Note 7 smartphone, which has been found to spontaneously catch fire and explode, GoPro has an uphill battle to reconvince customers to purchase its Karma drone over other options available in the market, including the DJI Mavic Pro. The GoPro Karma is still unavailable to purchase in the United Kingdom, whilst its closest competitor – the DJI Mavic Pro – is on pre-orders until late January 2017. Many have argued that the GoPro sales were expected to shoot up in the UK after DJI have failed to honour hundreds of sales. Critics and early adopters on Reddit have claimed to prefer GoPro’s customer service over China-based DJI.